Parkway Life REIT (SGX: C2PU) is one of the many companies and real estate investment trusts (REITs) in Singapore’s stock market that have released their annual reports over the past few months. At the end of 2015, Parkway Life REIT had a total of 47 properties across Singapore, Japan, and Malaysia. The portfolio was valued at around S$1.6 billion as at 31 December 2015, placing the REIT as one of the largest healthcare REITs in the region. Singapore accounted for 63% of gross revenue in 2015, followed by Japan at 36.5%. The remainder came from Malaysia. Parkway Life REIT’s distribution per unit (DPU) was 13.29 Singapore cents in 2015. This is an 86.6% jump from its initial annualised DPU of 6.32 cents seen in 2007. The accumulated DPU from the REIT’s IPO (initial public offering) up till the fourth-quarter of 2015 is 81.1 cents. Parkway Life REIT’s IPO price was $1.28 per unit. Parkway Life REIT entered the Japan market in 2008. Since then, it has been able to build up a portfolio of 43 healthcare properties in Japan that are worth a total of S$590 million. During the year, Parkway Life REIT acquired seven new Japanese nursing homes. This allowed the REIT to make its first foray into the Aichi Prefecture in Japan. This followed its maiden divestment made in late 2014, when seven other Japan nursing homes were sold off for a profit of $9.11 million. Parkway Life REIT has a fairly healthy debt profile. 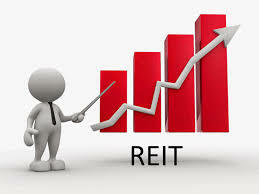 The REIT has a weighted average term to loan maturity of 3.5 years and a gearing of around 35.3% at the end of 2015. There is no year in which more than 32% of its total debt will come due. On Parkway Life REIT’s leases, 64% of its gross revenue has a CPI-linked revision formulae. Furthermore, 98% of its leases (by nett lettable area) comes with a rent review provision. At the end of 2015, Parkway Life REIT had a weighted average lease term to expiry of 9.12 years. Only 2.5% of its leases will expire between 2016 and 2020. Parkway Life REIT also presented some stats on the healthcare sector. The global population aged 60 and above will rise to almost 22% by 2050, up from 12.3% today. Closer to home, the number of Singaporeans aged 65 and above has doubled to 440,000 in 2015 over the past 15 years. This is expected to more than double to 900,000 by 2030. As a result, Singapore’s healthcare spending is expected to reach more than S$13 billion in 2020. There could be competition for medical tourism. The medical tourism market in Malaysia has nearly doubled since 2010. Meanwhile, revenue growth for Thailand’s hospitals was up to 15% year-on-year. Singapore, though, remains popular for high-end treatment.